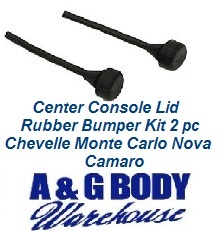 This is a 2 piece set of the center console glove box lid rubber bump stops. Units prevent rattles and wear and cabin noise. after 40 years these often are missing or worn and need replaced.